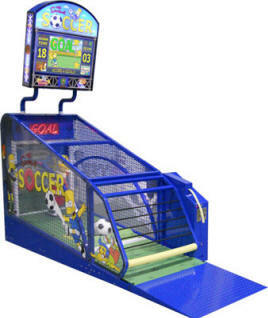 It's Fun, It's Interactive - It's Soccer in a Box! 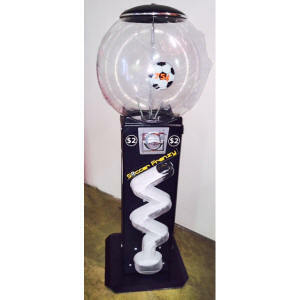 Your customers will love the interaction on this intense game that has them kicking as fast as they can to score as many goals as possible. 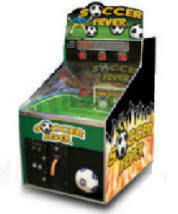 Race against the clock and try to sail the balls past the goalie with Soccer Fever! Customers love the new Ziggy Zig Zag! 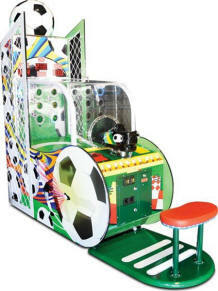 This high durable machine features bright, attractive graphics, dependable operation and a large capacity globe. The Beaver Mechanism is available for 50�, 75� or $1.00. Vends 45mm or 49mm bouncy balls, 2" capsules or 2" gumballs. You liked the Strike Zone. 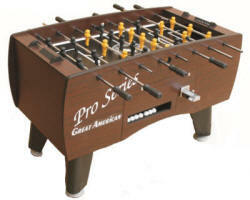 Soccer fans will love the new "Striker". 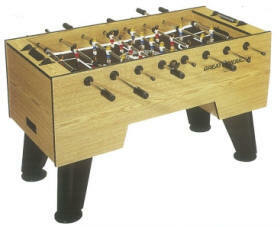 Exact same play as Strike Zone with a Soccer theme, or for the rest of the world known as "Football". 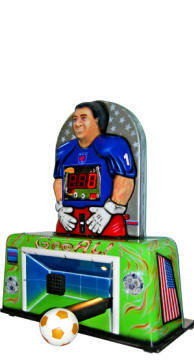 Just aim at the lighted targets and see how many goals you can make!